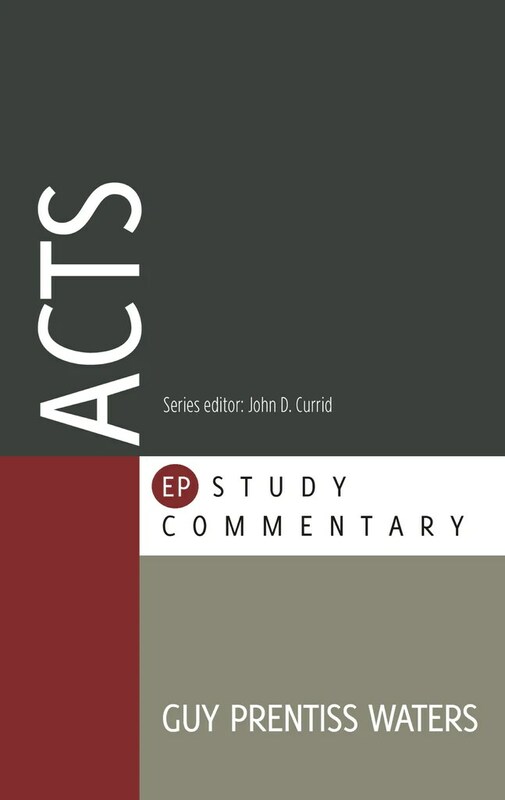 Until now, I had not read any of the commentaries in the IVP Reformation Commentary on Scripture series. My interest in the theological interpretation and historical theology usually drives me to a much earlier era. I love the Desert Fathers and patristics and have spent some time with the Ancient Christian Commentary series. However, my interest was piqued by the lastest Reformation Commentary volume, edited by Roland Rittgers, in part because of the celebration of the Reformation’s quincentennial, and partly because volume XIII, examines the books of Hebrews and James. I love these two epistles, yet Martin Luther had a lower estimation of them. Luther liked Hebrews, though he did not place it on the same footing with apostolic teaching (3). He regarded it as a non-Pauline epistle, but he did think the author of Hebrews was at least a disciple of the Apostles, and Luther’s lectures on Hebrews (1517-1518), influenced and impacted his maturing Reformation theology (pp. xliii-xliv). James, on the other hand, he regarded as an epistle of straw, “with nothing of the nature of the gospel about it” (200). Despite Luther’s opinion of these books, other Reformers were more charitable in their assessments, many regarding the former as Pauline, and the latter as apostolic and authoritative. The Reformation Commentary on Scripture follows much the same format as the Ancient Christian Commentary does. Each book is broken up into sections by pericope, with verse by verse (or paragraph by paragraph) commentary drawn from the writings of various reformers. The first thing I noticed was the breadth of voices which Rittgers includes. There were Catholic reformers and Christian humanists, (e.g. Gasparo Contarini, Desiderius Erasmus, Thomas More), Lutherans, Calvinists (e.g. John Calvin, Theodore Beza), Swiss Reformed (e.g., Heinrich Bullinger, Huldrych Zwingli) Anglicans, Puritans, and Radical Reformers (e.g. Menno Simons, Dirk Philips, Melchoir Hoffman). Jacobus Arminius provides a counter-voice to some of the hardline Calvinist comments on Hebrews. Given the era, the voices included were mostly male, though Rittgers does include a sole entry from Marguerite of Navarre (104-105). Some of these commentators were familiar to me. Many were not. There is an appendix with “Biographical Sketches or Reformation-Era Figures and Works” which profiles most of the references included here (though curiously doesn’t profile Edward Dering, who comments extensively on Hebrews but lucky for me there is Wikipedia). Often the differences of opinion between the Reformers fall predictably along the hardened denominational lines of latter days. The Reformers wrestled with Hebrew’s apparent teaching that we can lose our salvation. Anabaptist commentators like Derek spoke forcibly of the forcibly of the need for excommunicating false believers (82). The Protestants loved what Hebrews says about the supremacy of Christ, but went to great pains to show, against Catholic sacramental theology, that Christ is not sacrificed again in the mass, but once alone for our sin (see, for example, Johannes Bugenhagen’s comments on Heb 9:11-12. p 125). In dealing with James, Lutherans, in general, were less sunny toward the epistle as Luther had been, whereas magisterial Reformers, and Anglicans regarded it much more favorably. I read through this commentary in about a week’s time. There is enough here that is devotional. The Reformers read the Bible with an eye toward what it meant in life. Their comments are pre-critical in the sense that they do not occupy themselves with sources, literary form or the text’s setting in life. They are much more concerned about explicating what the implications of these epistles are for the lives of the faithful. This isn’t to say that they were unaware of debates about issues like authorship, but their answers were meant to either give weight to either the text or their critique of the epistles’ theology. 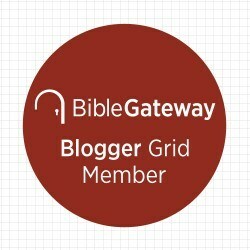 As theological interpreters, they read the Bible in a Christocentric way. Hebrews especially send the Reformers back over the Old Testament, looking for the ways the Hebrew Bible testifies of Christ. James’ critique of favoritism and partiality toward the rich, mirrored the era’s critique of corruption in the Church.They were serious readers. They engaged the words on the page. 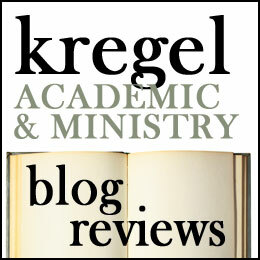 A little over a year ago, I had the opportunity to review Tim Keller’s Romans 1-7 For You. Tim Keller is one of my favorite pastor-theologians and where I don’t always agree with him, I am always grateful for the way he presents his theological convictions with grace and respect. 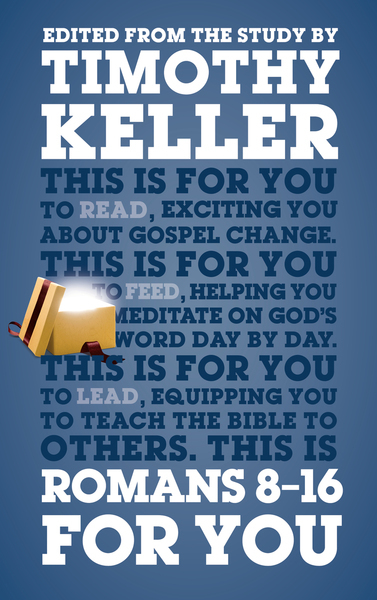 In Romans 1-7 For You, Keller walked readers through the first seven chapters of Romans, making the case for the universal need for salvation through Jesus Christ and how the just live by faith. But the real treasure in Romans begins after these introductory chapters. Romans 8 unfolds the mystery of life in the Spirit, our adoption as sons and how in Christ we are more than conquerors, Romans 9-11 unpack the mystery of predestination and Israel’s hope, chapter 12 tells us how to live in light of the gospel in community, chapter 13, as citizens of the state, and chapter 14-15 describe further how to care for one another and fulfill God’s mission in our world. The final chapter has a list of names of Paul’s coworkers, many of them women. In Romans 8-16 For You, Keller explores these texts from the second half of Romans. Almost a full third of this commentary is devoted to Romans 8 (a beautiful chapter to camp in). However, Keller honors the shape of the biblical text and walks readers through each section of the text, pulling out points of interest. Keller is more pastor than scholar and he draws heavily on such evangelical luminaries as Leon Morris, John Stott, F.F. Bruce and D. Martyn Lloyd-Jones. As to be expected, this is a Evangelical Reformed take on Romans, but it is written at an accessible level for pastors and lay people alike (one of goals of the series). I am especially grateful for the stress that Keller puts on Paul’s anguish for his people when he turns to his discussion on election (58). He also does a good job of emphasizing the diversity of Paul’s coworkers in Romans 16. Not being quite as Calvinist as Keller, I do have sections that I quibble with but I appreciate Keller’s attention to the text. I also favor a more Anabaptist reading of Romans 13, but probably need to dig deeper in personal study before I commit to a view. On the whole like this volume. Serious students of Romans would want to go deeper and may make use of the commentaries he lists in his bibliography. Yet for many of us Romans, as a whole, remains opaque to us. We love to quote passages and put isolated verses to work in our evangelism, but have a difficult time tracking Paul’s argument from beginning to end. If that describes you, I commend this volume (and Keller’s early volume) to you. After all, Romans 8-16 is for you. I give this commentary four stars. Notice of material connection: I received this book from the Good Book Company and Cross Focused Reviews in exchange for this honest review.